A website becomes successful with a clear message and an attractive design, but which of these elements to pay more attention to? This article gives you the answer and tells you how, through your web programming, you can create a balance between these two things. Designing a website is about communicating a message to the audience. 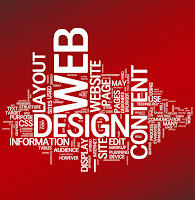 The message is about the products/services for which the site is being designed. The better it is conveyed, the more exposure it ensures. With the right kind of web programming, this communication can be made better. But is message the most important thing in your website? Or is it the whole appearance that matters to the visitor? This article will try to find out. If the message is not clear, then it is pointless to convey it and if the entire design is complicated, there is no point in making the message easy to understand because that will not help the visitor in any way. If this has happened to you, it is high time you look beyond web designing and start paying attention to your site's programming. The bottom line is, things need to be in sync with each other. Both the message and the design needs to be relevant to what you offer. Your site can have an over-the-top appearance but if the content is clear, it is going to be a hit among your target audience. Remember the saying "content is king"? The quality of your content should NEVER be compromised. But content alone cannot take your site to heights of success, there should be solid dynamic web development to transform your site into a traffic magnet. The entire packaging of your site needs to be well-planned. Your message must complement your overall design. The design needs to be created with the medium in mind, for instance, the popularity of mobile devices should not be overlooked and the site needs to be designed to fit smart phones and tablet screens. The fact that design and message go hand in hand should not be overlooked. Both of them should complement each other because the overall design along with the right content are the keys to unlock the doors of success. Ignoring one can abolish another and cannot bring success. Both these ingredients make a nice package that is sure to be successful, if you can maintain a balance between them. Remember, at the end of the day, it's all about user experience. If you cannot provide a smooth UX, visitors will move on to your competitors. Push whichever boundary you need to, but the harmony between the content and the layout in your website should not be disturbed. Ever. This article was written by Jayati Bhattacharjee. She has authored many articles on web development, web programming, e-commerce solutions and Joomla! website design.